Ever since its inception in 2016, FlexiLoans has always dreamt of creating a workplace which is diverse yet united, youthful yet experienced, and professional yet approachable and its founders have never fallen short in turning this dream into a reality. Their small but ambitious team of around 200 employees are testimonial to these efforts and have become a close knit family, making FlexiLoans like their second home. In fact 2018, has made this feeling official thanks to the certification FlexiLoans received from the Great Place To Work. “Two years ago, we had a dream and today we are 200+ people passionately working towards a goal of financial access for SMEs in India. Over the course, amazing people have joined us and we feel humbled by how big this family has become. With 34% of women and 33% employees below 25 years of age, we aim to create an inclusive workspace which is meritocratic and rewarding. “We’re truly humbled to be certified as a Great Place to Work considering the evaluation criteria of high trust and high-performance culture. Our team is the heart and soul of the FlexiLoans and now with 200+ employees, we are just getting better every day! Going by Simon Sinek’s words – “Customers will never love a company until the employees love it first.” FlexiLoans hopes to give its customers the same treatment as its employees. GPTW is a global authority to build, sustain and recognize high-trust, and high-performing workplace cultures. Having had 30 years of experience in conducting research on the characteristics of great workplaces their mission is help all organizations eventually become great places to work at! They serve businesses, governments and non-profit organizations in over 50 countries. 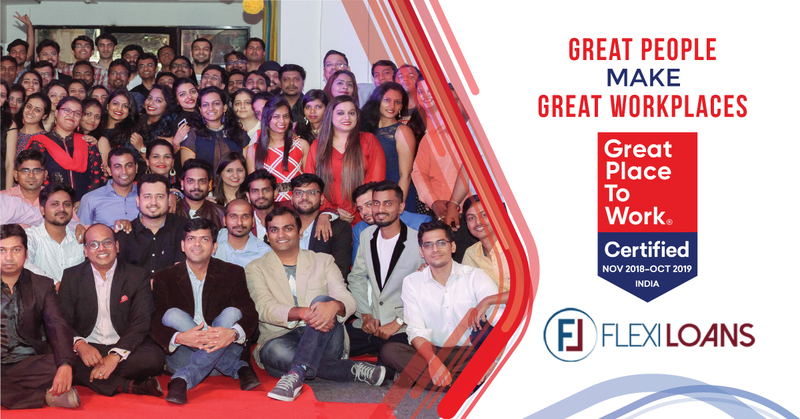 In India GPTW produces an annual list of ‘India’s Best Companies To Work For’ in partnership with The Economic Times and also an annual list of ‘India’s Great Mid-Size Workplace’ in partnership with Mint. Other than that they also regularly publish sector-wise lists of the Best Workplaces in all major Industries and recognize the Best in special categories like the Best Workplaces for Women, Career Management and Culture of Innovation. With more than 10,000 organizations from over 58 countries partnering with GPTW for assessing, benchmarking, and planning actions to create a sustainable workplace culture the certification process isn’t easy. In India over 600 organizations applied to be assessed in 2018 making it the largest Study in the space of Workplace Recognition. And FlexiLoans is proud to say that they were one of the applicants who successfully went through the assessment process and received certification. One which measured the quality of the employee experience through a globally validated survey instrument known as Trust Index that seeks anonymous feedback from employees. And the second lens known as the ‘Culture Audit’ (GPTW’s proprietary tool) which was used to evaluate the people’s practices of an organization covering an employee life cycle. Along with FlexiLoans, this year the GPTW Institute has recognized the best workplaces across 20 sectors. Some of these organizations are Mattel India, Urban Ladder, Mid-day, Piramal Finance and a few others. 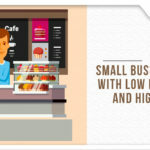 FlexiLoans is a fintech start-up that provides working capital loans online to small and medium enterprises. What started off as a small team of just 25 in 2016, grew on to become a team of 200 in 2018 and it’s only growing. FlexiLoans is all about building a workplace that feels like a second home for its employees, from celebrating all festivals together as a family to engaging in fair competition at work this place is budding with talented young minds all of whom are ambitious and passionate towards achieving financial inclusion.